Annual event to raise money for the Upper Merion Area Educational Foundation. Registration starts at 7:45am, 1 Mile Fun Run starts at 8:30am, 5K starts at 9:00am. Caley Elementary School, 725 Caley Road, King of Prussia, PA 19406; Winds along residential roads and finishes back at the elementary school. For the 5K course map, click here. 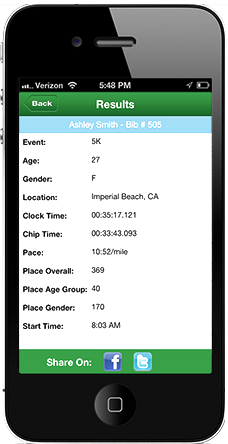 For the 1 mile fun run map, click here. 1st Place Overall Male & Female; Top 3 male and female finishers in age categories: 10 & under, 11-14, 15-18, 19-29, 30-39, 40-49, 50-59, 60 and older. No mailing of awards. Each registrant receives a free T-shirt (not guaranteed if registered after May 10th), limited quantities for sale on race day; Refreshments, water stations, and raffles. No mailing of shirts. 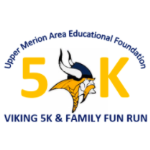 If you would like to pay your registration fees by cash or check, please complete this form and mail it along with check payable to “Upper Merion Area Educational Foundation”, to: Upper Merion Area Educational Foundation, c/o Mike Keeley, 435 Crossfield Rd., King of Prussia, PA 19406. Following the tradition of past years, the elementary school classroom with the most number of registrants (including family members and both Fun Run and 5K) will get a Kona Ice party! Make sure you put down your elementary school and the name of the teacher in the "Team" field when you sign up.